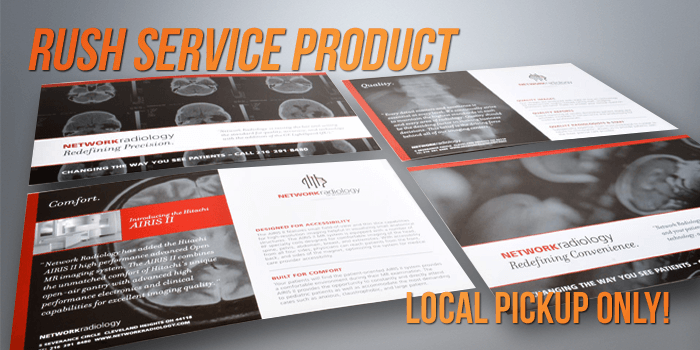 Postcards and flyers are the cornerstone of marketing and promotion. They are versatile and can be passed out in person in a crowd, put in parked car windshields, mailed out. UZ Marketing's RUSH postcards come in 12 or 14 pt cardstock and are printed and ready for pickup the next day. Size 2" x 6"3" x 4"4" x 6"4" x 8"4" x 12"4.25" x 5.5"5" x 7"5.5" x 8.5"6" x 11"6.25" x 9"